Men’s Groups are right at the foundation of Men’s Ministry. 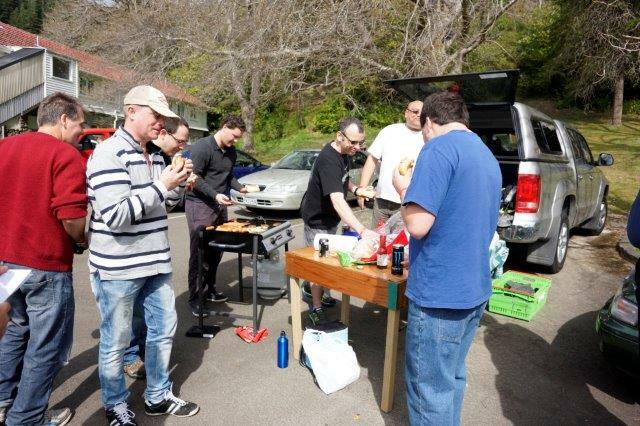 Men’s Groups that meet weekly and are open for any man to attend make ministry highly accessible. These groups can be a powerful Men’s Ministry influence for years. They develop a core of committed men who are key to the ongoing success of the group. Other men attend for a season in their life or when they need help, especially at a time of crisis. These work best with 4-5 men, allowing deep, significant friendships to develop. Encouraging each other in ministry to others brings an important outward focus and keeps the group healthy. Hospital Group - Nursing wounds and scars, but never becoming rehabilitated. Social Group - Having a great time and feeling good, but not quite getting to the Word. Theological Group - Going deep in disciplined study, but not applying truth to life as love in action. Influential Group - Healthy men engaged in the process of growing spiritually, and becoming increasingly active and influential in the lives of those around them. Each time the men attend in the midst of their busy week, they know they will be refreshed, refocused and re-empowered for life’s challenges. They leave ready to live out God’s plan for their lives.